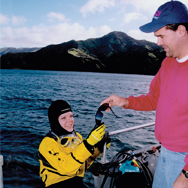 Whether you’ve never made a boat dive or you’ve logged dozens, the Boat Diver Specialty course can benefit almost every diver because different boats in different parts of the world do things differently. 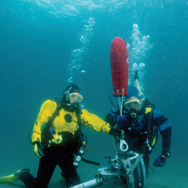 You use all the basic scuba gear. 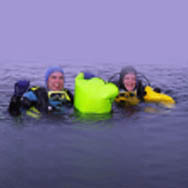 Depending on what type of diving you’ll be doing from the boat, you may also want to use underwater photography equipment, DPVs (underwater scooters), a dive light, a dry suit, lift bags, a dive flag/float or other specialty gear. Diving from a boat is a convenient and fun way to explore the underwater world. By reviewing the Boat Diver Manual and video on DVD, you’ll learn the important do’s and don’ts of boat diving including: boat terminology, etiquette, safety and procedures. You can do many types of diving from a boat. Just about any course can be taken in conjunction with the Boat Diver course, which can help you reach the coveted Master Scuba Diver rating.